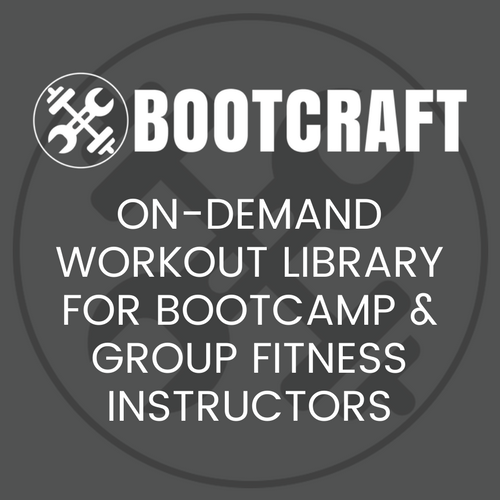 This workout is a rehashed version of a workout from Bootcamp Workout Ideas Vol 2. My clients liked the original so much that I went back, mixed up the exercises and here it is. If you have new clients, cover jabs, crosses and uppercuts. Also cover correct stepping when moving around (not crossing legs over). Round 1 is a shadow boxing round. The entire group completes this together without Complete the following circuit 3 times as a group (no pads – just shadow boxing). Spend 30 seconds on each. Pair up clients. Complete the entire 6 minute round before swapping pads and gloves and repeating. Complete the following drill, repeat and THEN swap pads and gloves. 90s Jab-cross, jab-cross. Then pad holder turn 90 degrees on spot left or right – boxer re-positions themselves quickly. 60s 10s plank/5s rest for boxer. Pad holder rests. Stretch arms, chest and lats. For those of you who run boxing workouts, you might be interested in my friend Garry’s new manual, Bootcamp Boxing Ideas. The book is an in depth manual covering boxing for fitness (and fun), several methods for dealing with odd numbered groups, boxing warm ups and of course plenty of boxing drills to use. Check it out.